Bees are fascinating to study. 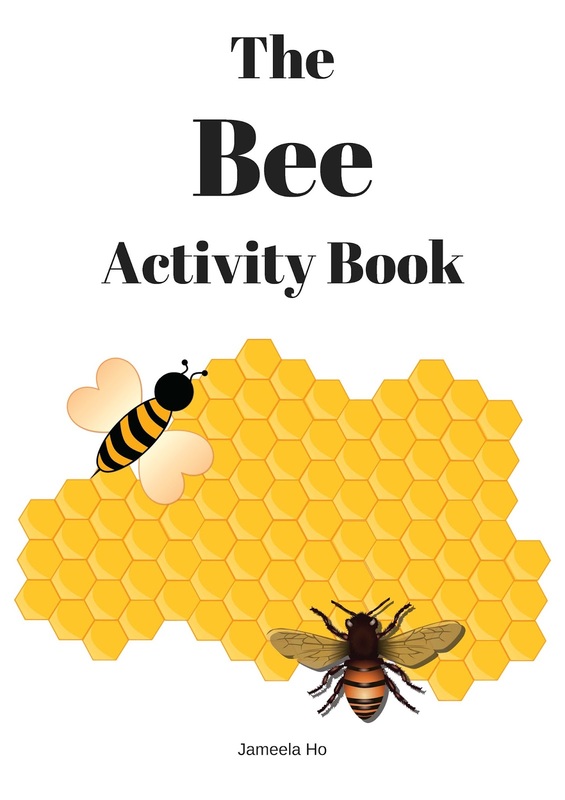 When I did research to write this activity book for children, I was really amazed and humbled by the above verses. I wrote this book with an Islamic world-view so Allah is mentioned a lot, including the verses quoted above. If you're thinking of doing a unit study then this would be a great topic. All the pages are printable and photocopiable so if you're teaching a class then this would be useful. 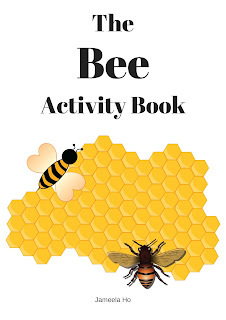 If you have one child then print the whole book and bind it then give it to your child as a workbook. 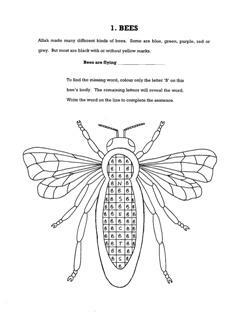 There are puzzles for children to do as well as experiments and, of course, reading and writing. 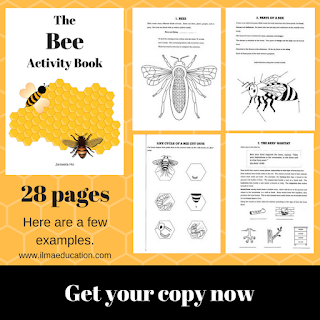 It's a comprehensive book with 28 pages of fun bee activities for children to learn and do. After I wrote this book I'd wished that I had known the information on bee stings when I was stung by one. It hurts! I had to live with a thumb the size of a ping pong ball for about a week. Ouch! Don't let this happen to your child. Let him learn what to do in case he's stung by a bee. Click the link below to read more about it and get the book if you're interested. Otherwise, click the other link below to download your free page from the book. My gift to you for visiting my blog. To learn all about bees, get your copy here or here. You can download this free high quality page from the book here.